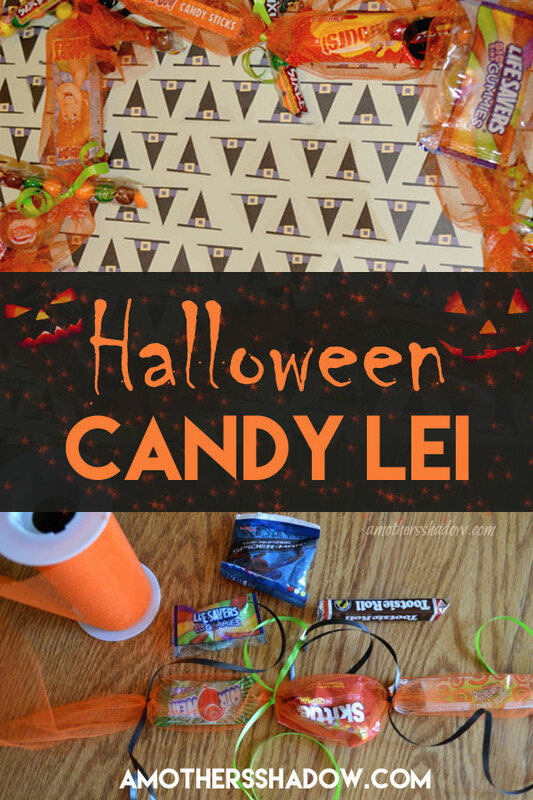 This Halloween Candy Lei is the perfect SWEET gift for anyone of any age! It’s difficult to find projects that are inexpensive for teens and that they will actually like, and want. 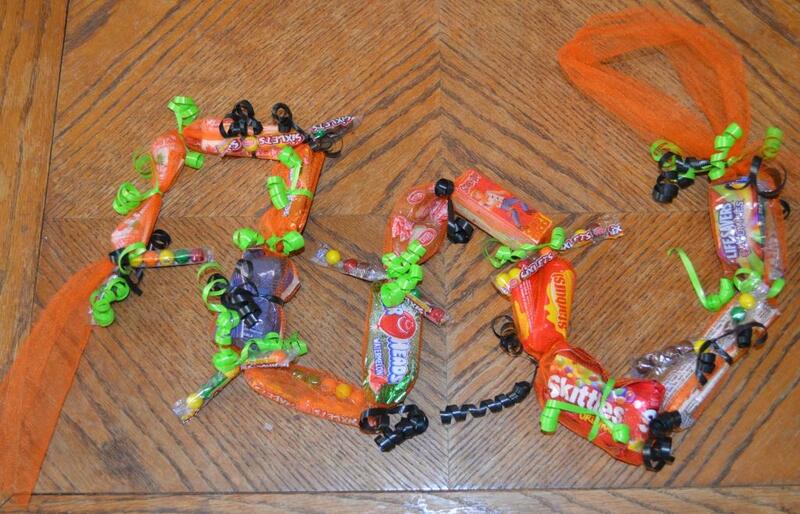 But this Halloween Candy Lei fits perfectly! Teens will have fun making these for them self, or for their friends, or have them make these at a party! 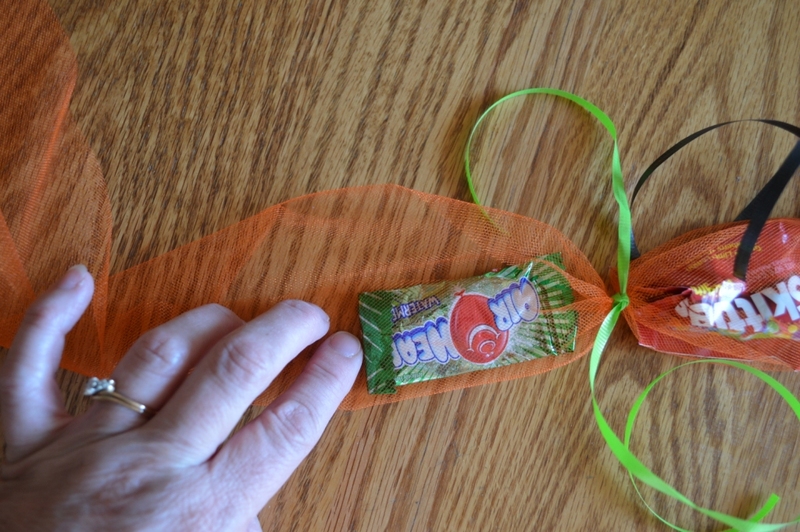 Put out candy that will fit in the netting (as described below) and let them choose the kind they want to put in their lei. To keep your costs down, you can have popcorn or other snack food for them to munch on while they make their lei and kindly limit the candy count to whatever your budget will accommodate for each person. It’s a terrific treat for a parent to give to your kids. 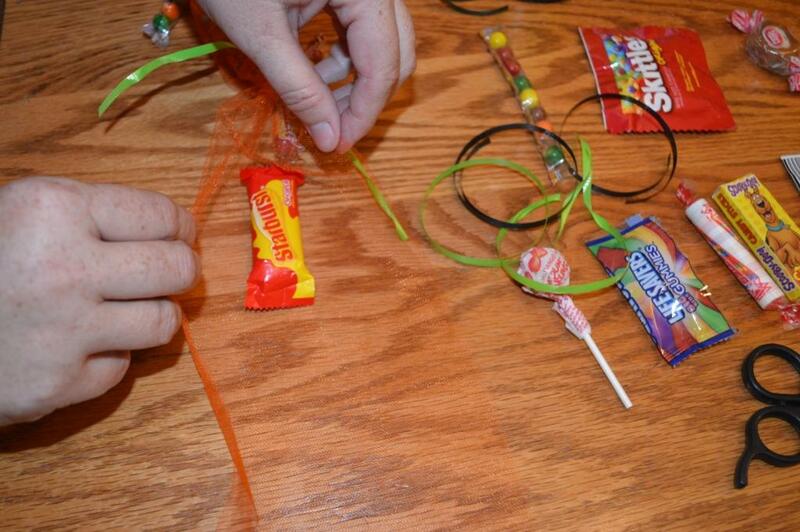 The Halloween Candy Lei is an especially great gift for a grandparent to make and even send in the mail. See my post Did You Know You Can Send THAT In The Mail for fun ways to mail it off! 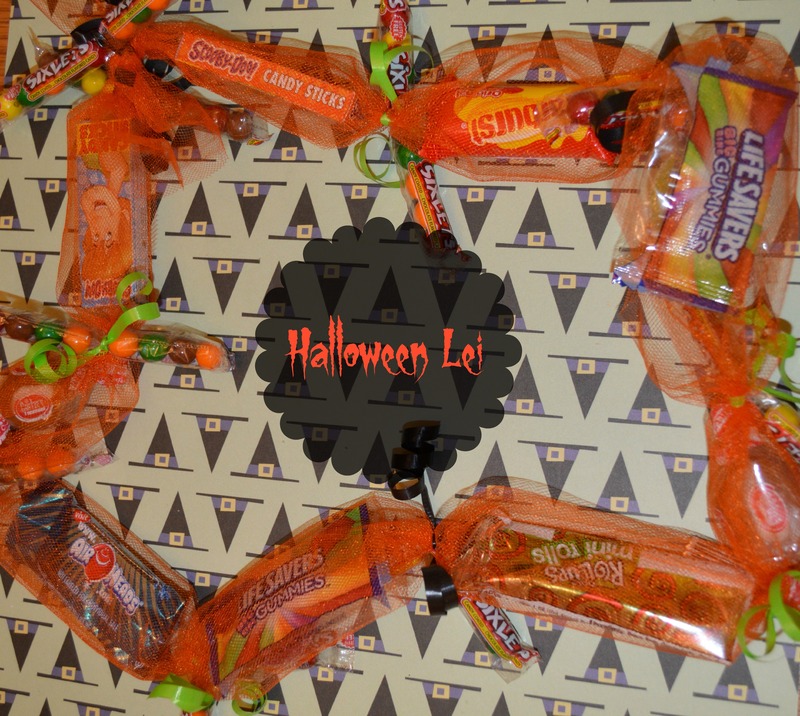 This Halloween 10″ mesh ribbon/tulle would work well for mini candy bars and small size candy *personally, I prefer to use this size just to be safe. You can always put 2 pieces of small candy in it if it looks like it needs it. Place candy in center of tulle. Take one side of the tuelle of the candy.Wrap the other side of the tuelle over the candy.Tie curling ribbon close to the candy to hold in securely so it won’t fall out. 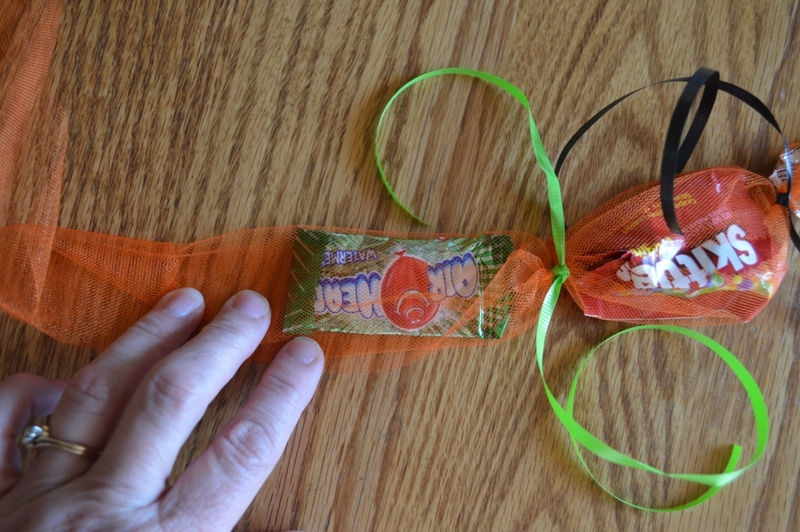 Option: tie candy into the ribbon if it it too large to hold securely.Curl the ribbon. Tie the ends of the tuelle together in a square knot to form a lei. 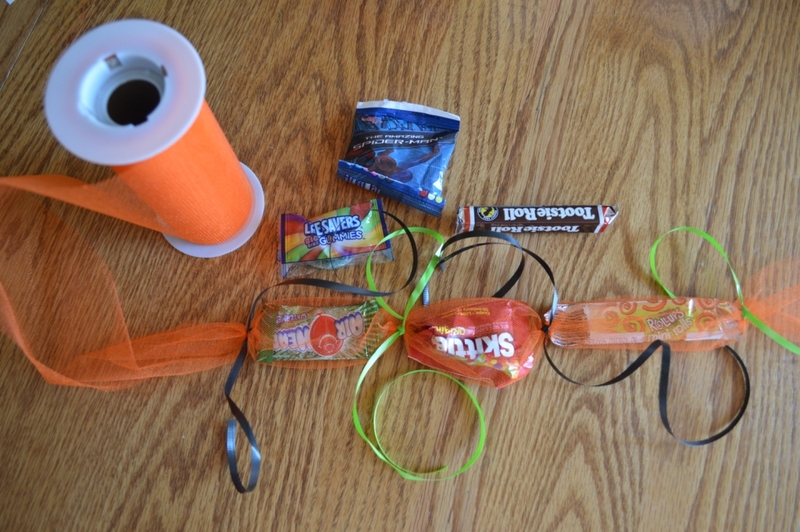 Another option is to loop one end and have it more of a hanging type of candy holder as shown below.